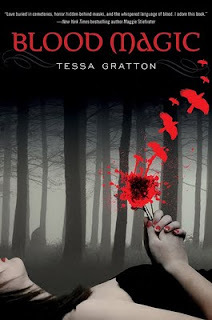 BLOOD MAGIC by Tessa Gratton is a hard book to describe. It's beautiful--but also disturbing. It's like goblin fruit, if that makes sense. There's magic and blood and kissing and a dark history and doubtful future. So, basically, you should read it. I actually really love the way the book's described in GoodReads: "Tessa Gratton's intoxicating first novel will keep pulses racing, minds reeling, and pages turning right up to the very last drop of blood." Of course, I had to ask Tessa for an interview. I was lucky enough to meet Tessa earlier this year at the Branson retreat and, well, she's effing awesome and way cooler than me. My dentist told me I am genetically superior to most humans because I have no wisdom teeth. This fact did nothing to help my ego remain modest. BEAUTY by Robin McKinley, definitely, with JURASSIC PARK as a close runner-up. And… Beauty is still one of my favorites of all time, and I adore most fairy tale retellings, especially when they’re done do delicately and simply. I don’t reread Jurassic Park, but I am still somewhat obsessed with dinosaurs. 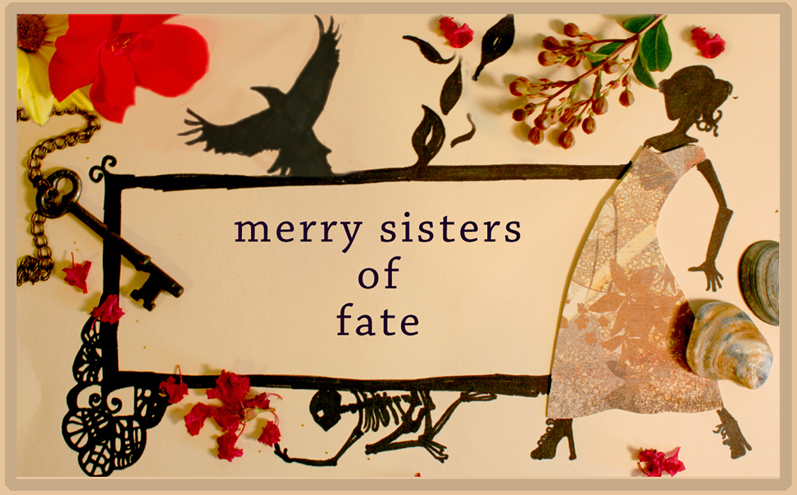 You're one-third of the awesome that is The Merry Sisters of Fate. Can you tell us a little bit about how the group formed? Maggie and I met online, and about 6 months later we were critiquing each other’s work. One day she said “Tessa, this is Brenna, and the two of you will be friends!” TA DA! We started Merry Fates in May of 2008, in an effort to quickly improve our writing with the challenge of writing a short story every week. It's the inevitable question: what inspired BLOOD MAGIC? Originally, a vision of a brother and sister who could switch bodies, and the body-snatching witch who stalked them… but Maggie and Brenna told me it needed to be more monstrous… more “Tessa.” Then came the copious amounts of blood. One of the great things about BLOOD MAGIC is that magic has a very real and present cost: blood. Can you tell us a little bit about why you chose to use blood in your magic? I wanted the magic to have an immediate, physical consequence, something to represent the energetic sacrifice necessary for power. AND blood is such a strong piece of so many religions and mythology. It has power in just about every culture – magical power to grant everlasting life. Plus, I like red. 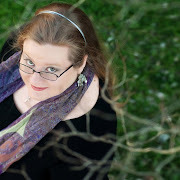 Can you tell us a little bit about the process--particularly the timeline--of writing BLOOD MAGIC? I wrote the first (boring, bloodless) draft in 6 weeks, then spent 4 months rewriting it into something I actually thought was awesome. 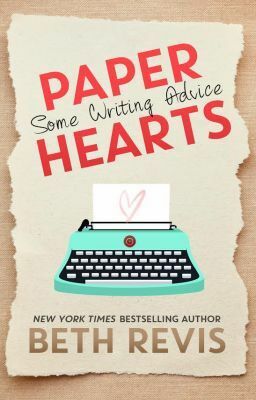 Signed with my agent, rewrote again, and then a second time after editorial feedback… and almost a year exactly after beginning that very first draft, it sold to Random House. I had 6 drafts total, because when I rewrite, I tend to TOTALLY rewrite. If your reader could only take away one emotion, theme, or idea from BLOOD MAGIC, what would you want it to be? How long you have to wait for everything. 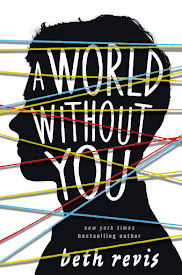 Strongest: world-building and kissing scenes (yeah, I went there.) Weakest: occasionally I forget to pay attention and write on auto-pilot. Great interview. I can't wait to read Blood Magic. I just got it! 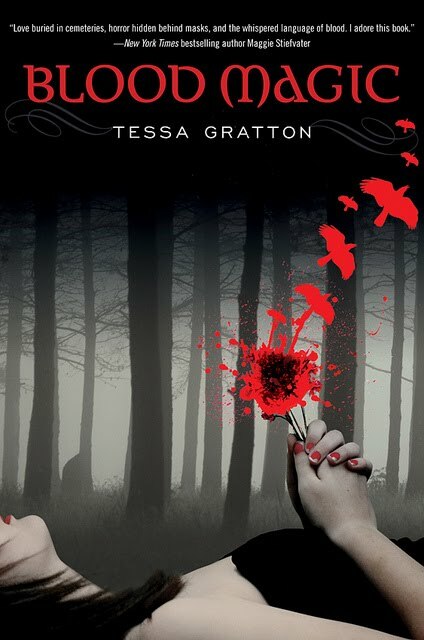 It's so interesting to learn how Tessa developed the blood as the magic. Hah! The movie almost makes you forget how good a book Jurassic Park was. Almost. I just finished Blood Magic yesterday. It was AMAZING. Fantastic interview! I seem to write on auto-pilot sometimes too. Ha. I met Tessa briefly at the Chicago Comic Con. She was so sweet! I bet it was fun hanging with her at the retreat. Her book was dark and well done. I haven't had a chance to review it yet. What a great interview, Beth! Awesome interview! 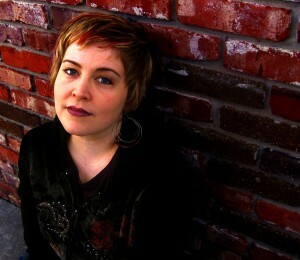 And I agree with her on the waiting for writers. Such a great interview. I've been wanting to read BLOOD MAGIC for awhile now.